Above: The results of my unplanned garden adventure. When was the last time you allowed yourself to go on a ride with no idea of where you were going? I went on one such exhilarating journey last weekend. My mode of transport was a £6.89 paintbrush from our local DIY shop. It took me miles away, circling the globe and yet I never left the house. 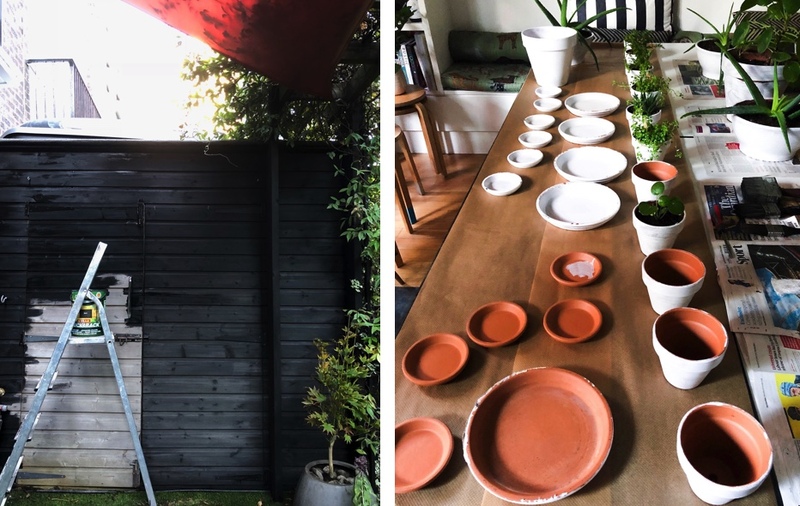 Above: The therapeutic results of painting — black garden sheds and white plant pots. One day in the garden with my paintbrush turned into two glorious days outside. And on that first night after it turned dark and Sally bid me goodbye until the following morning, I couldn’t stop painting. So I went inside and started to paint the terracotta pots of my houseplants white. And when spring comes around, I am looking forward to going out and painting the exterior pots black. With transformation on my mind, I will never underestimate the therapeutic value of a £6.89 paintbrush. Have a look here to see what my garden looked like before I got that paintbrush out. Love your garden transformation. 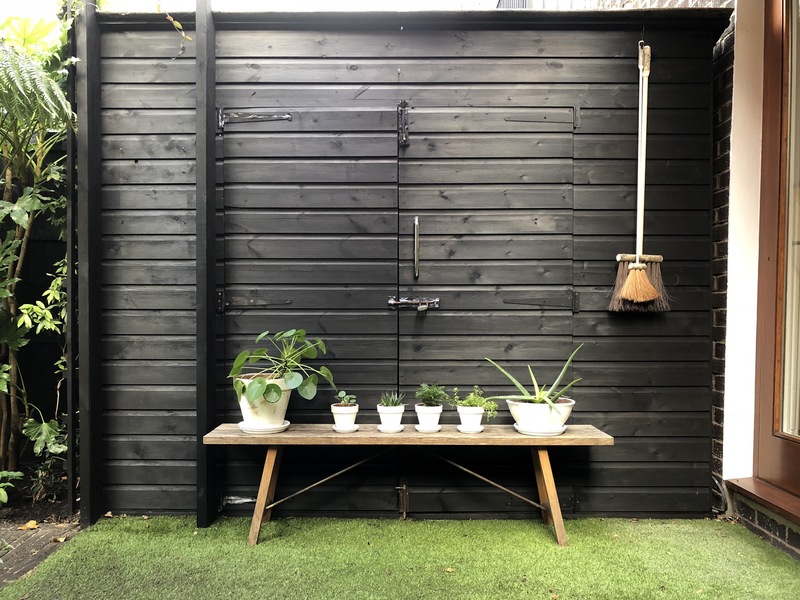 The black looks wonderful with the greenery – what a wonderful job you and Sally have done! Good work but what paint did you use? Christine your garden looks gorgeous, almost tropical. Can tells it’s been a labour of love. I’m with you on the therapeutic benefits of working with one’s hands, so rewarding too. I’ve been wanting to go back to knitting thick chunky jumpers. You may have inspired me! !